Product categories of Solar Garden Led Light, we are specialized manufacturers from China, Solar Garden Led Lights, Solar Outdoor Lights suppliers/factory, wholesale high-quality products of Led Outdoor Landscape Lighting R & D and manufacturing, we have the perfect after-sales service and technical support. Look forward to your cooperation! path light use, parking lot light use, highway light use, park light use, gate light use and so on. 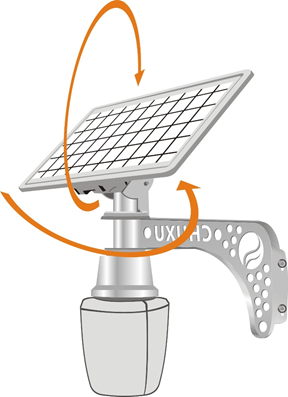 Step 1: Fasten the solar panel to the support arm with screws and nuts. Step 2: Fix the lamp onto the wall using setscrews or fix it on the lamp pole using hose clamps. 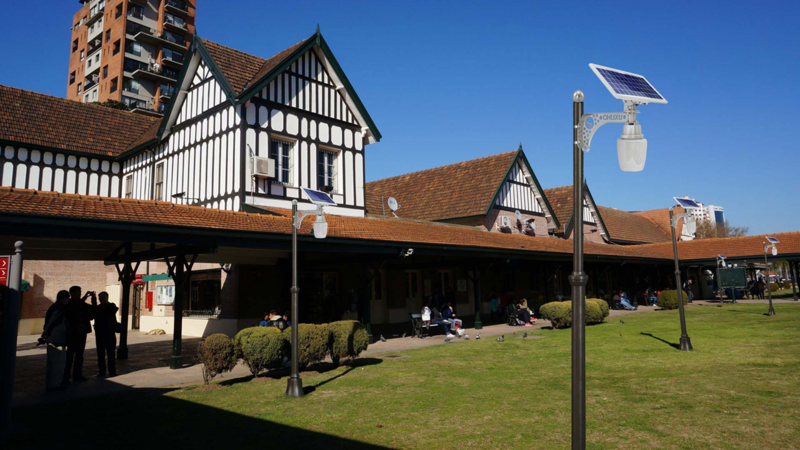 The solar panel can be adjusted 200 degrees up and down and 240 degrees left and right according to local longitude and latitude and different directions the solar lamp faces, so as to receive sunlight in the maximum receiving surface for the longest time.